What I can simply tell you now is that CBN loan is like our national cake. 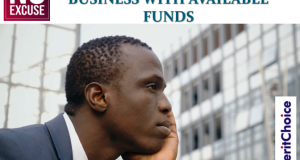 Do you know that everyone that has small and medium business is entitled to the loan? There is also opportunity for anyone that is into agriculture. You probably think it might be money for those that have “fantastic” or “out of this world” ideas like tech or million-naira ideas. No! This loan is for anybody that is doing something that is adding to the economy including the artisans. 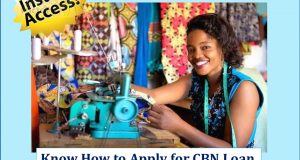 If you are into fashion design, hair-dressing, bakery, block and interlocking making, food processing, laundry and dry cleaning and so on, you are entitle to get out of the money to run your business. No matter what you are doing, there is money for you. The only issue is lack of understanding and awareness and that is why we are bringing you this CBN loan consulting opportunity starting from Tuesday, 2nd April, 2019 till Friday 5th April, 2019. We will start from 10am till 12pm every day. You will be able to ask any question you want as per the loan. We are not just telling you about it, you could as well sign in for it immediately. You don’t want to miss this opportunity to get you own share of the national money. We will also handle your matter personally in case you have something or business that is perculiar you. The idea is to provide you the right solution and give you direction on how to apply for the CBN loan. So, join us and learn how to be part of the national opportunity. NOTE: If you are a member of Loan Mentorship Forum (LMF) this consultation session is free for you. Just come and participate. That is part of the mentorship opportunity you are to enjoy. We have extended the discount to join the Loan Mentorship Forum (LMF) till Friday 5th April, 2019. It means you can still pay N7,500.00. We have delayed till now because of those that asked us to wait for them to get their salaries. Immediately after April, 5th, the money goes to N10,500.00. 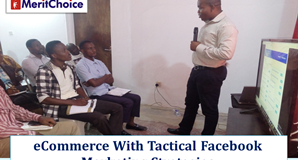 If you still want to enjoy the discount, kindly click on the link below to register.